Assassin’s Creed Odyssey April update is now available for players on PS4 and Xbox One. According to the official Assassins Creed Odyssey 1.20 patch notes, the latest update comes with Loadouts feature, Lost Tales of Greece Highlight in Quest log, MSI Mystic Lights and more. In addition, Assassin’s Creed Odyssey update 1.20 has also added stability and performance improvements. Previously, a big update was released which the new features like in-game support for Episode 2 Shadow Heritage and upcoming Lost Tales of Greece, new Level Scaling Option, new Mastery Levels, and much more. Unfortunately, since the last patch, many players are experiencing a number of issues when trying to play. Today’s Assassin’s Creed Odyssey update 1.20 for PS4 is expected to fix a few of these issues. Check out full changelog below. Assassin’s Creed Odyssey update 1.20 addressed a visual issue with the reward for looting the three letters in The Last Magi. Assassin’s Creed Odyssey version 1.20 addressed an issue in Daughters of Lalaia where Thyia could sometimes be MIA in the cinematic when interacting with the Magistrate in Phokis. 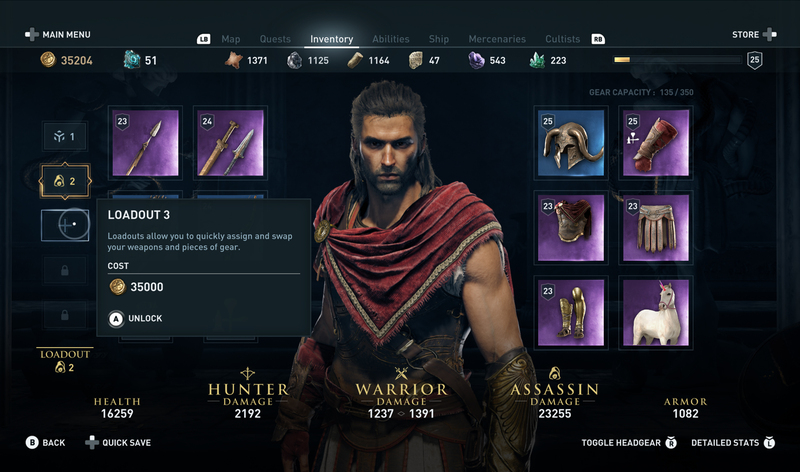 Assassins Creed Odyssey update 1.20 addressed an issue where players could lose their items in New Game+ upon looting the same item with a higher level. Assassin’s Creed Odyssey 1.20 addressed an issue that prevented Myrrine from reaching her destination. Assassin’s Creed Odyssey version 1.20 fixed an issue where players couldn’t upgrade their spear at the forge. Assassins Creed Odyssey 1.20 addressed an issue where players were missing the sub-quest Speak No Evil. Assassin’s Creed Odyssey patch 1.20 addressed an issue in Throw the Dice where the quest items could sometimes be missing at the intended locations. Assassin’s Creed Odyssey 1.20 addressed an issue where the Eagle Bearer in Would the Real Eagle Bearer Please Stand Up can be killed by the player before speaking with him. Say that again but slowly? Assassin’s Creed Odyssey update 1.20 addressed various lighting issues. 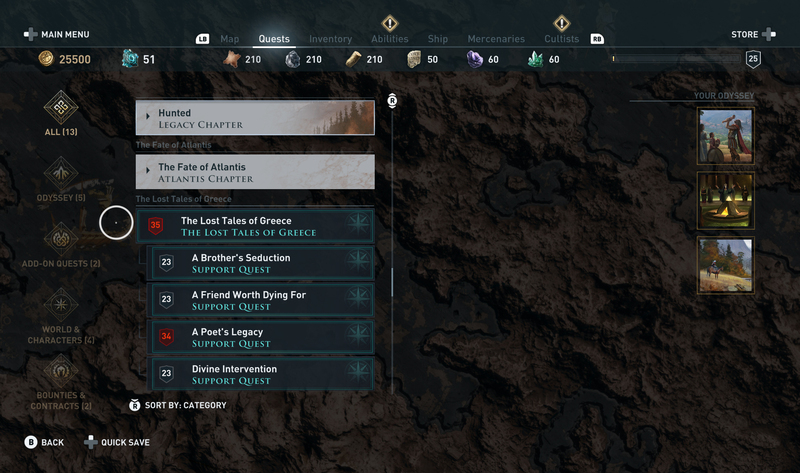 AC Odyssey update 1.20 addressed various UI/HUD display issues. Assassins Creed Odyssey update 1.20 addressed an issue that could cause a double fade when accessing the Engraving section of a blacksmith. Assassin’s Creed Odyssey version 1.20 addressed an issue that could occur when scrolling rapidly between Mercenary tiers. AC Odyssey version 1.20 fixed crashing issues. Fixed stuttering and lag issues with AC Odyssey 1.20. AC Odyssey version 1.20 fixes for the server that caused connection issues. Fixed some glitches with AC Odyssey 1.20. AC Odyssey update 1.20 on PS4 is now available for download.